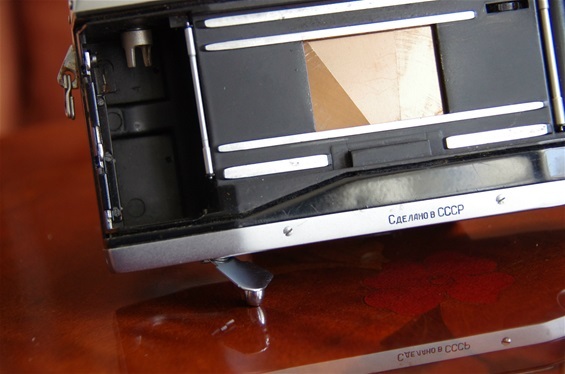 The Arsenal factory in Kiev, Ukraine, Soviet Union were first of all known for their medium format cameras. 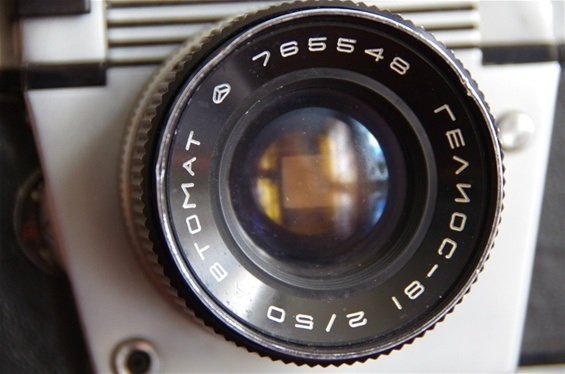 But in 1964 they introduced the Kiev 10 Automat, the first camera to automatically determine the correct aperture based on the values from the selenium meter on the front of the prism house. 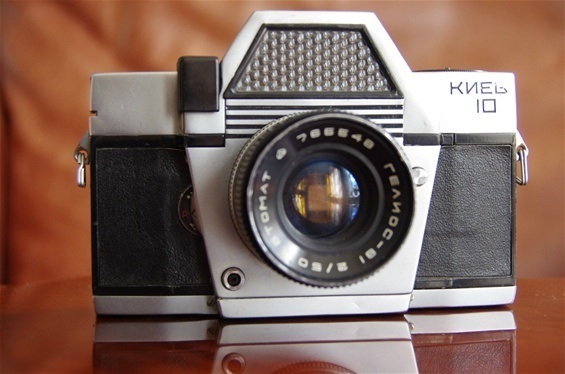 From then on they produced Kiev PP SLRs until 1994, with the Kiev 19 as their last model. The company continued to make cameras for another 15 years. 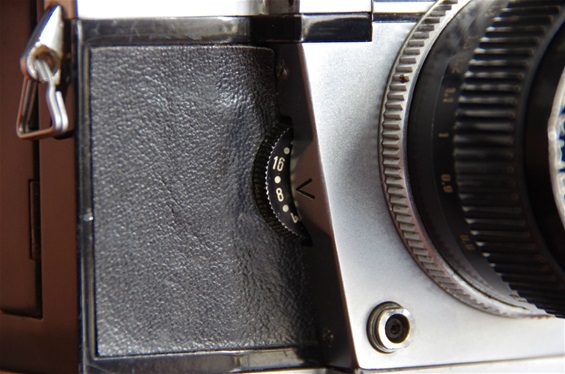 No camera looked like this Kiev 10 from '64. 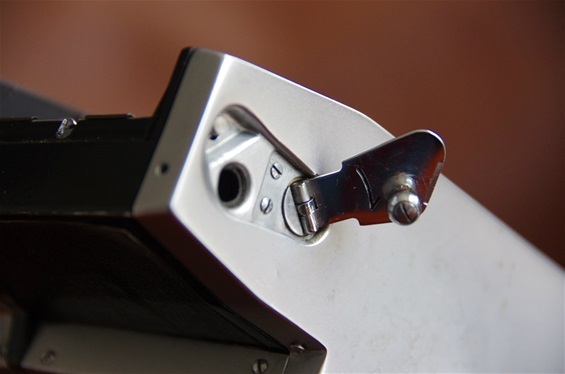 Selenium meter covering the prism front, shutter release button in front of the camera. 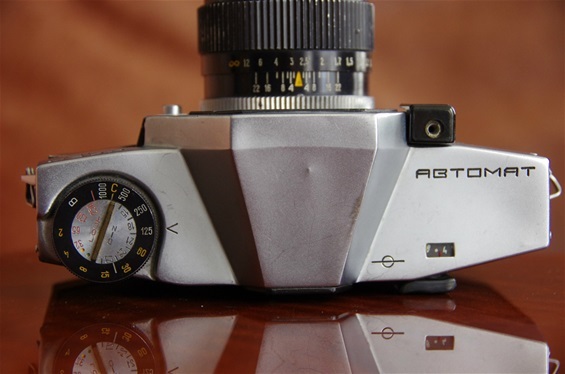 The Arsenal factory of Kiev, Ukraine, Soviet Union, released this camera in 1964, two years before the Konica Autorex (Autoreflex in the US), thus being the first PP SLR to offer authomatic aperture when choosing shutter speed. (The Konica is usually given the credit.) 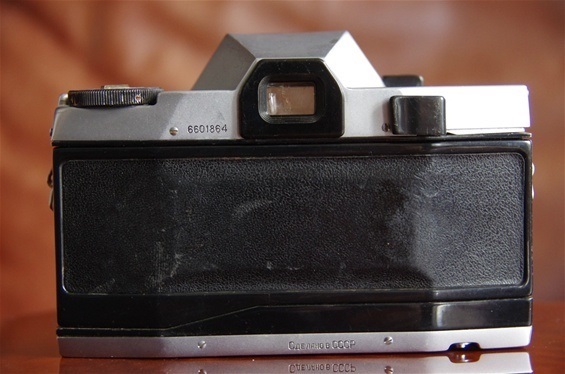 Both cameras had an external metering, Kiev with a selenium meter, Konica with a more modern CdS. The Kiev 10 Automat was certainly not like everybody else with its very uncommon layout for control handles. Size: 159x100x54mm.Weight:833grams. Sn: 6601864. A radical design: No winder on top, shutter release button in front, but operated from the top, shutter speed dial to the left. This was inherited from the Zunow design of 1958, giving a faster fingertip handling, and was taken up by Canon in the late 70's. The shutter time dial was ergonomically better than most, with easy fingertip control. But placed at the left side, so where is the rewind handle? Hidden at the base plate: the rewind crank. Also a release button for the film door. Another fingertip dial, this one for aperture control. When running smooth, this was a good idea for fast handling. The aperture choice could be read in the viewfinder. 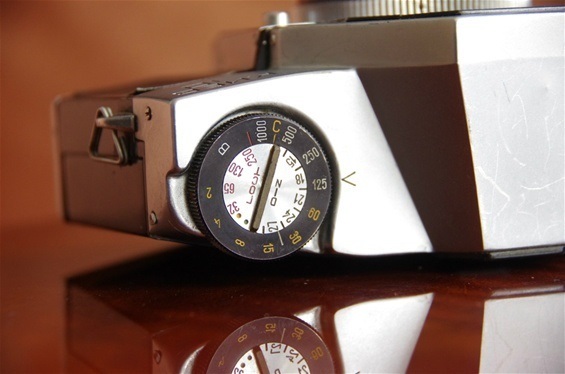 When set to A, the automatic diaphragm would be set according to light metering and shutter time. Even the shutter was unusual: A four bladed metal fan. Another special feature: When spinning the rewind crank at the bottom, the movement is transferred to the split rod at the top, spinning the film backwards. Seems like an unnecessary complex construction, but it works!